In 2016, a pack including colourful classroom posters and a class set of THE CHANGEOVER: FIFTY YEARS OF DECIMAL CURRENCY coin-collecting folders ready for your students to collect their own coins. 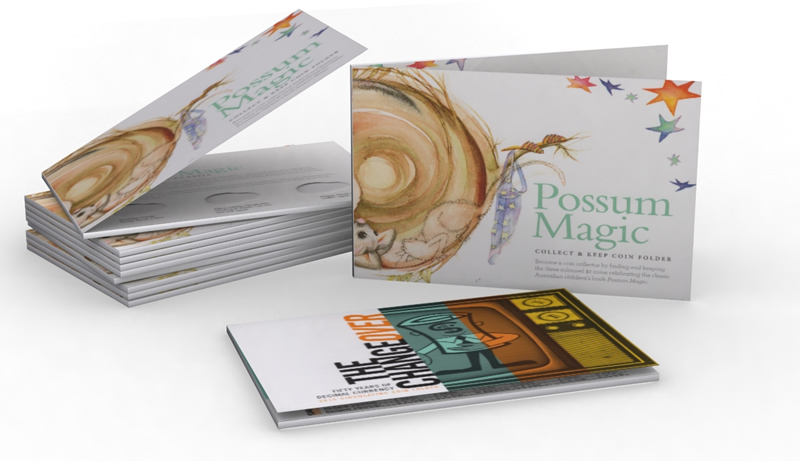 More recently, there was a class set of Possum Magic coin folders (again ready for students to collect their coins) mailed to teachers who had received the 2016 pack and requested to be kept up to date with future packs. Unfortunately, stocks of both of the above education packs are no longer available. However, if you would like to receive future FREE Mint education packs/resources, simply complete the form below to be included on the mailing list. Please note: To ensure that you receive your FREE packs/resources in the mail, addressing details must be correctly placed in the separate fields provided below.